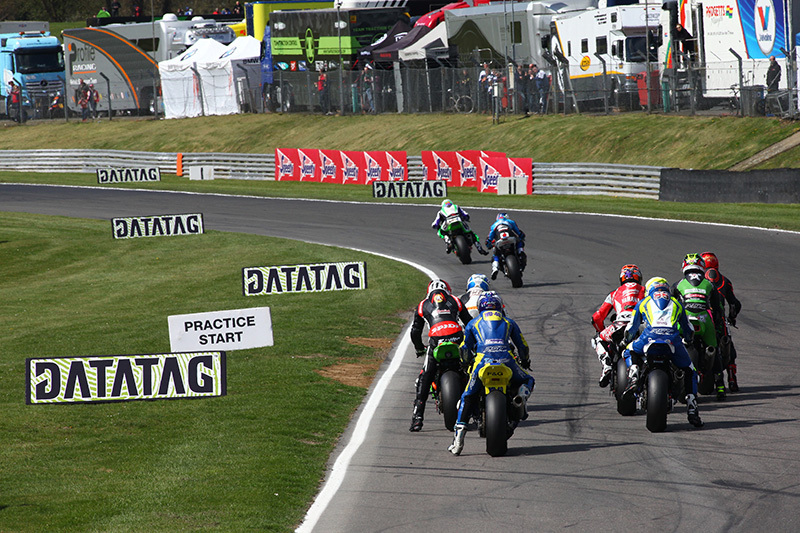 Shane 'Shakey' Byrne and Josh Brookes returned to the podium in the second MCE Insurance British Superbike Championship race at Brands Hatch as the pair tried to close the deficit to double race winner James Ellison. 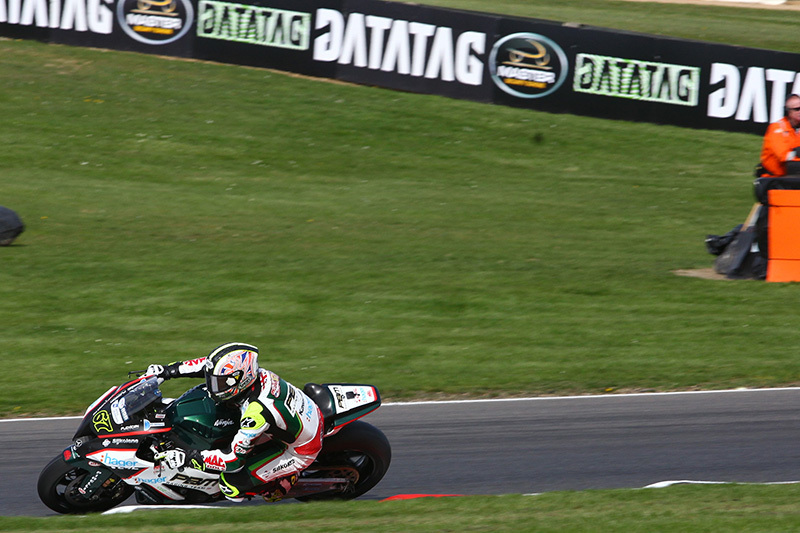 In the second race both Byrne and Brookes pushed Ryuichi Kiyonari back to fourth place and then the pair duelled for second place. The Nissan GT-R Safety Car intervention closed the pack with nine laps remaining, but the pair still couldn't push ahead of Ellison and were left to scrap for the final podium positions. 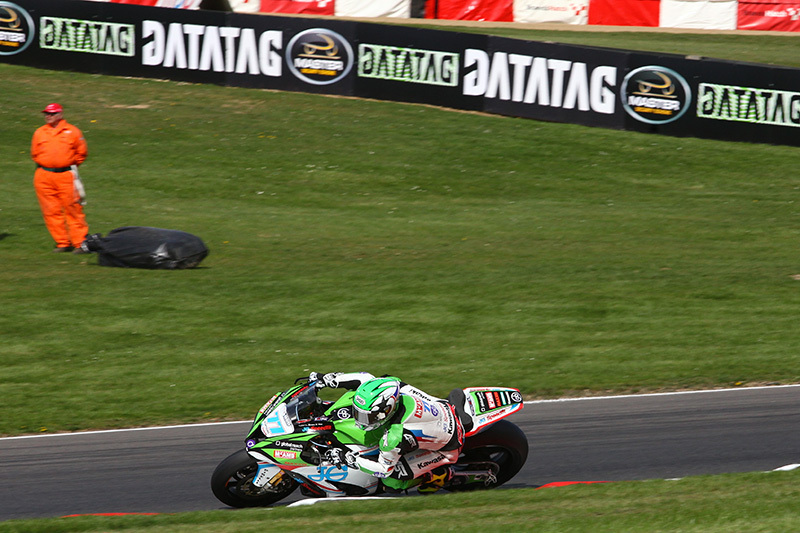 Byrne narrowly held it at the line to claim second by just 0.128s from Brookes. Byrne said: "Two second places is not two wins, so obviously I can't leave here 100% happy, but at the same time, you can't come to two races at this level, racing these guys, and expect to win every single race. The reality is, if you'd offered us two second places at the start of the weekend, I would have bitten your hand off. "The second race was tricky, because I started third and I could see straight away that Kiyo was having a bit of movement from his bike. 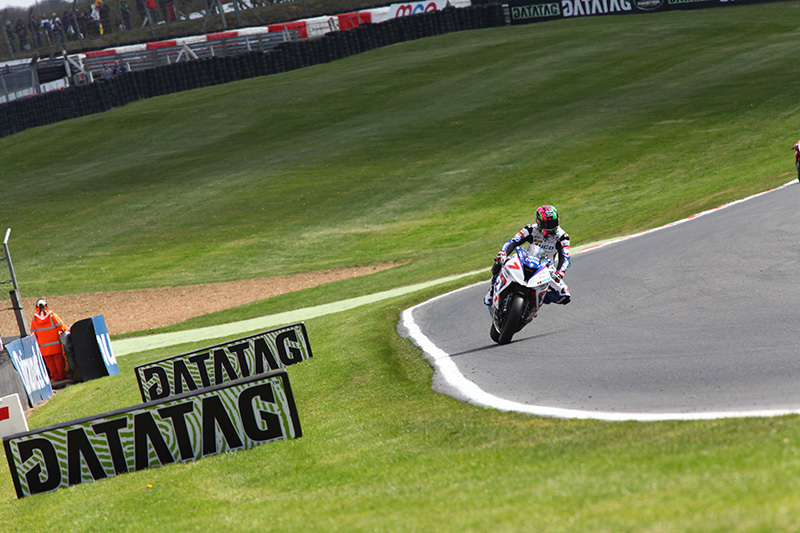 I chose the different tyre for the second race and at the beginning of the race the bike felt really good. Unfortunately I got in a bit of a tangle with Kiyo and James [Ellison] disappeared - I tried my utmost to get him back for a few laps and it wasn't happening. "Unluckily for James, we got another shot at him. Straight away I tried to dig but James got away again and over the last few laps I was like; 'come on, I can do this', and I got closer, and closer, and closer, and closer, but not quite close enough. It's been a tough weekend, but if a tough weekend results in two second places, against the likes of these guys then I really can't be too unhappy." Brookes added: "I didn't feel completely comfortable with the bike on the opening laps, but once we get about maybe six or eight laps in, then things start to feel better again and I started to make ground on Shakey. James [Ellison] was clearly disappearing which was a bit annoying - it means you've got just got to do something. You can't do it in that race but something's got to change going forward to try and make that sort of distance back. "I just focused on trying to catch Shakey, and I thought I was doing a good job, but not good enough, even after the safety car I couldn't really capitalise, he was riding superbly. The pace was good, but we were both doing it - it wasn't like I was doing anything better so I had to take third." 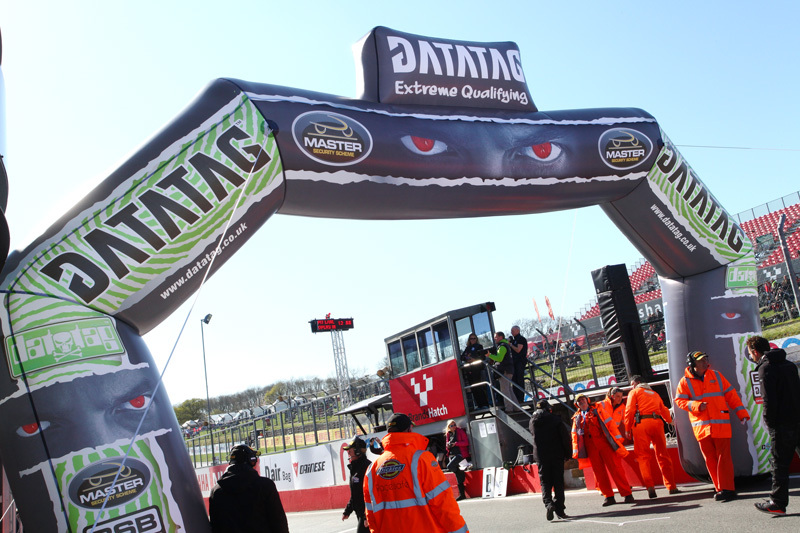 James Ellison narrowly missed out at Donington Park, but in the Datatag Extreme Qualifying session at Brands Hatch the JG Speedfit Kawasaki rider returned to the top of the times, dipping under the Indy circuit lap record to claim pole position by 0.257s ahead of Jakub Smrz and Ryuichi Kiyonari. The intense Q3 session saw the position change at the top almost every lap in the final 10 minute battle for the pole start in a top ten that featured six different manufacturers and five different nationalities. Broc Parkes had fought his way into the final session and the Milwaukee Yamaha rider was one of the first to post a flying lap, before he was pushed off the top by his team-mate Josh Brookes. 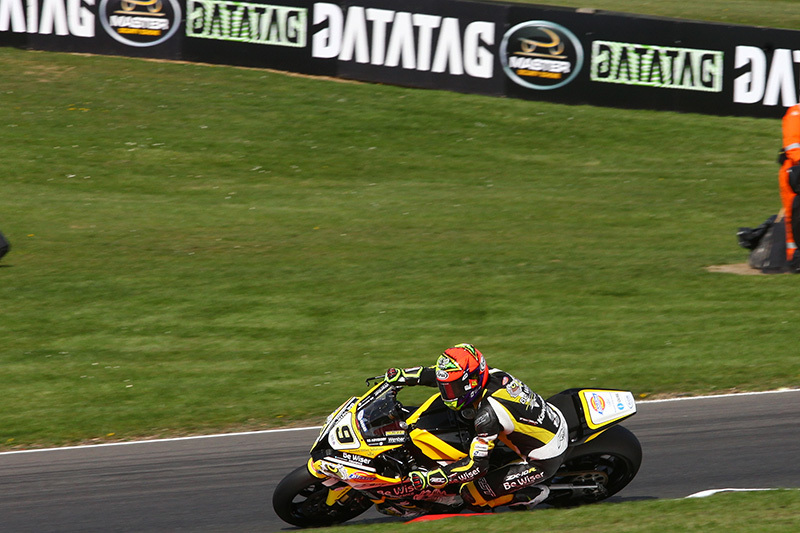 The pair continued to push, but would be forced to settle for fourth and ninth for Brookes and Parkes respectively. At the top Smrz had pushed under the lap record to move second, but it wasn't enough as Ellison set a further two flying laps which saw him topple the Czech rider. 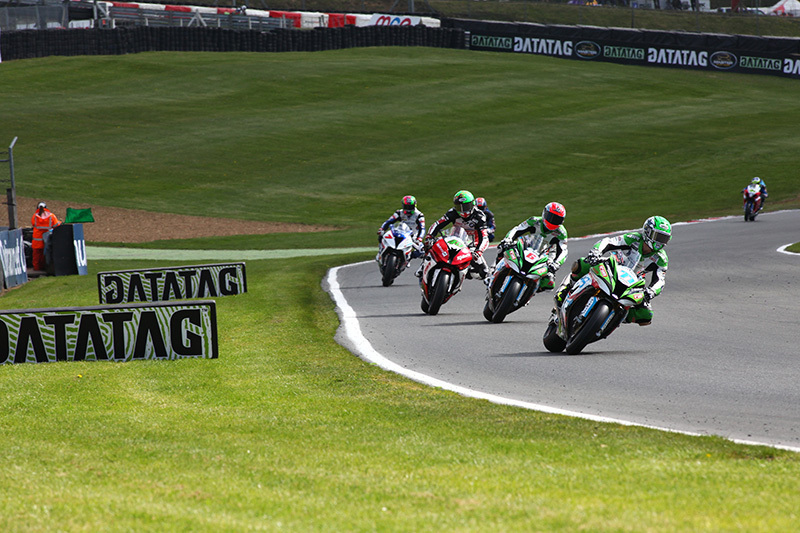 Ellison and the JG Speedfit Kawasaki team held off the opposition to claim the pole position from Smrz as Ryuichi Kiyonari moved to third for the Buildbase BMW team. 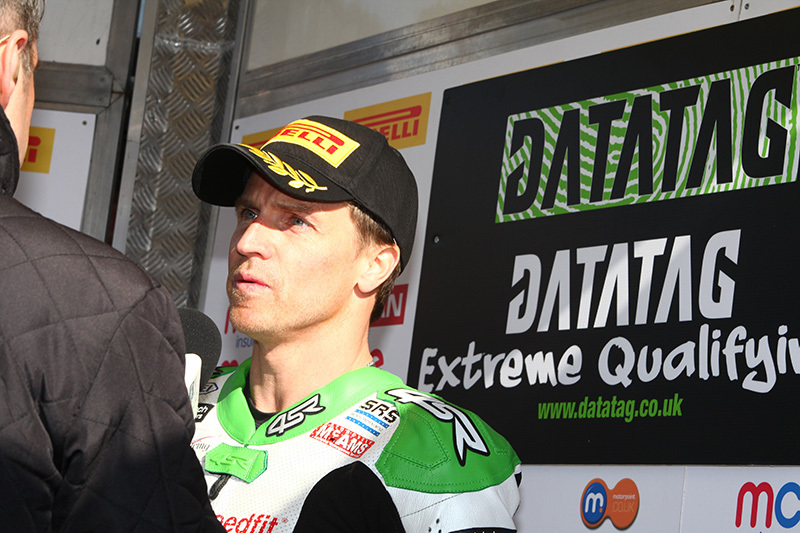 Ellison said: "I felt comfortable during qualifying and we have just been making steps forward. We have come through winter testing with a good programme and I feel I am a match now for the riders in front with the extra power we have this year. We always have a little bit in reserve and if I am honest I didn't think we would get pole position in qualifying as Kiyo has been really strong and I have watched his laps and he has done long consistent runs. We now need to make sure we can do the same and I will do my best in the two races tomorrow and enjoy it too." 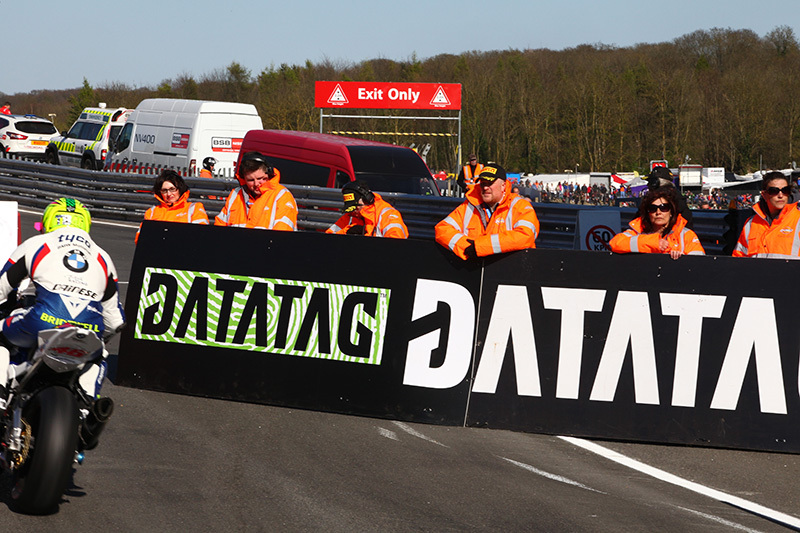 Shane 'Shakey' Byrne will start from the second row of the grid; the defending champion pushing for more but lining up in fifth place ahead of his team-mate Stuart Easton. Honda Racing's Jason O'Halloran was seventh fastest as he moved ahead of Christian Iddon on the Bennetts Suzuki as the pair qualified for Q3 for the first time this season. The session also marked the first appearance for Jack Kennedy in Q3 as the Team WD-40 rider bounced back from a big crash this morning to secure tenth on the grid.